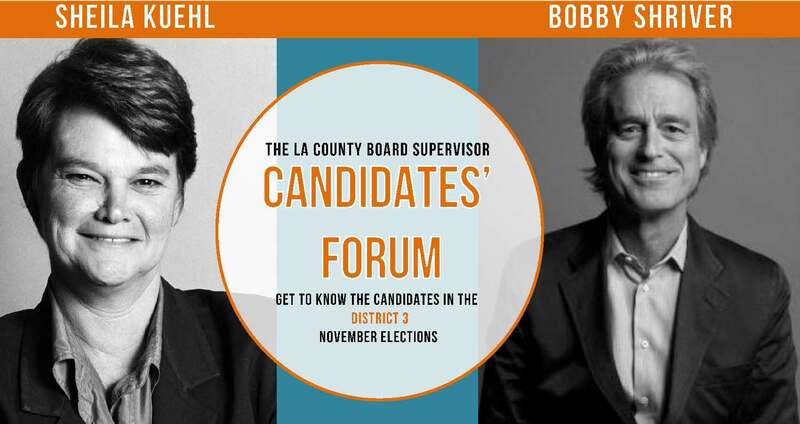 Please join members Valley Beth Shalom, Move LA, SCANPH, Stephen S. Wise Temple, Church of the Blessed Sacrament, LA Voice, United Way of Greater Los Angeles, IKAR, CSH and Home For Good for the LA County Board Supervisor Candidates' Forum on Healthy, Safe and Equitable Neighborhoods! Los Angeles County Supervisorial District 3 is home to 1.9 million people spanning 431 square miles! This area includes the cities of Agoura Hills, Beverly Hills, Calabassas, Los Angeles, Malibu, San Fernando, Santa Monica, West Hollywood, Westlake Village and surrounding areas. The forum aims to provide voters and the public with a chance to engage candidates about issues affecting the well being of all of our neighborhoods! There is free parking in the lot across Densmore Avenue from the Synagogue!